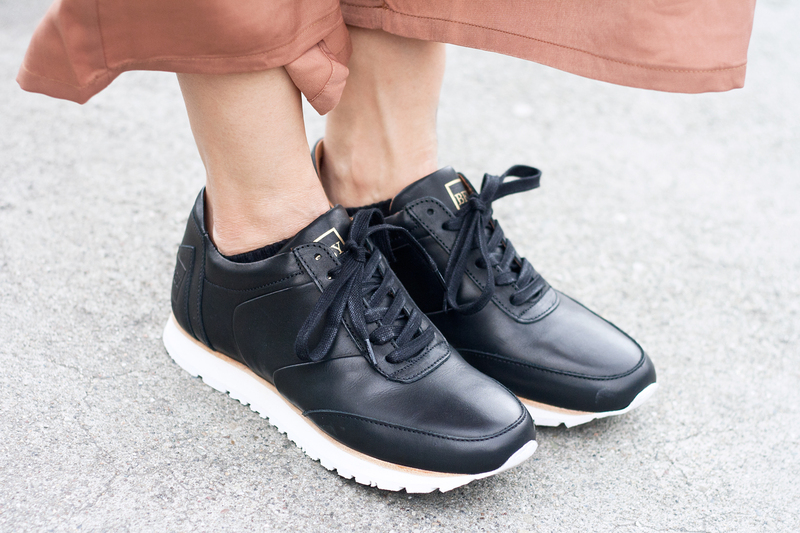 These leather sneaks from Beyene are so amazing that I planned my entire outfit around them. 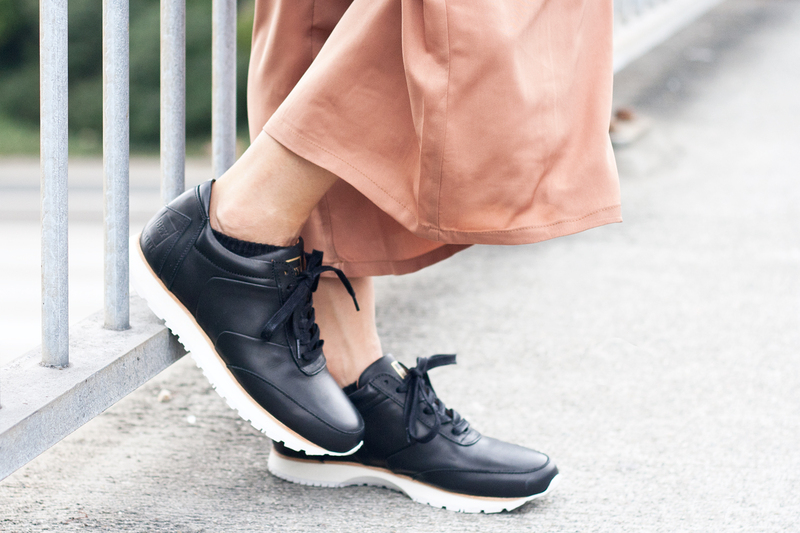 If you haven't heard of Beyene... it is a footwear brand from Stockholm and their shoes (for both men and women) are all about superior craftsmanship and timeless aesthetics. Not only that, they are quite comfortable as well! I am not really a sporty gal so I kept my look rather chic to maintain a good balance. I mean, you can't go wrong with a black snap-buttoned bodysuit paired with silky camel wide-leg culottes! Add a statement clutch (like this lovely embossed leather clutch by my gal Emma Fineman's Weft+Hide) and you are good to go! Bey One Night c/o Beyene. Snap buttoned ribbed knit bodysuit from F21. Silky wide-leg culottes from Boohoo. 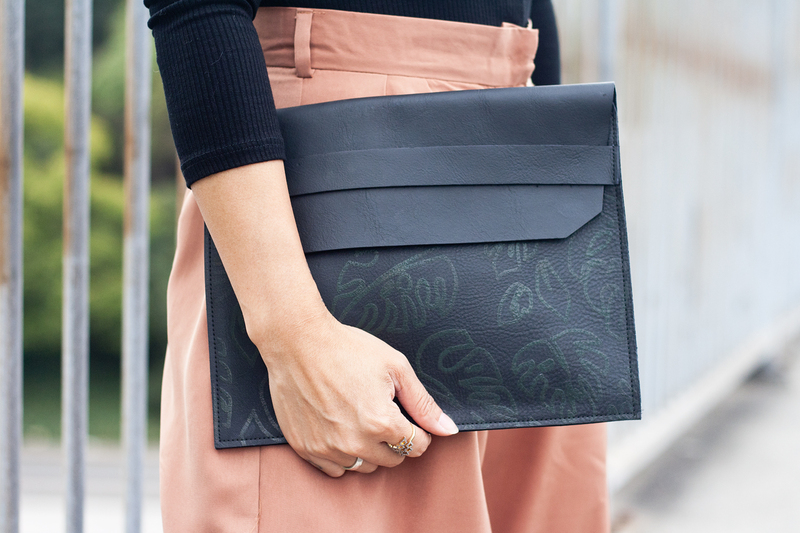 Embossed leather clutch by Weft+Hide c/o Emma Fineman. Northern Lights earrings c/o nOir. Mineral Springs ring c/o nOir.